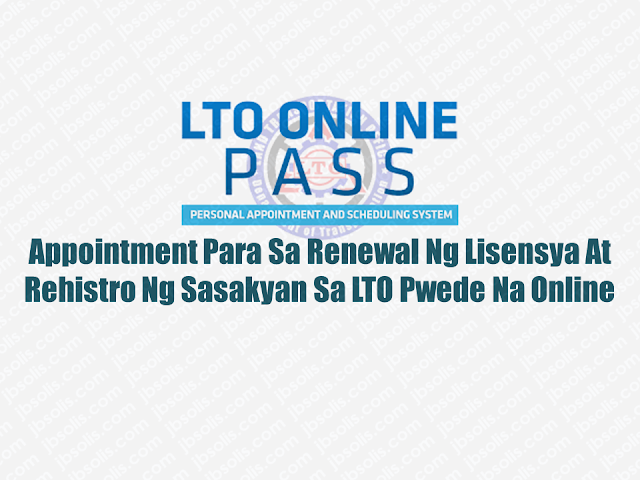 THOUGHTSKOTO Thoughtskoto : Do You Know That You Can Do Online Appointment For Your LTO License And Registration Online? 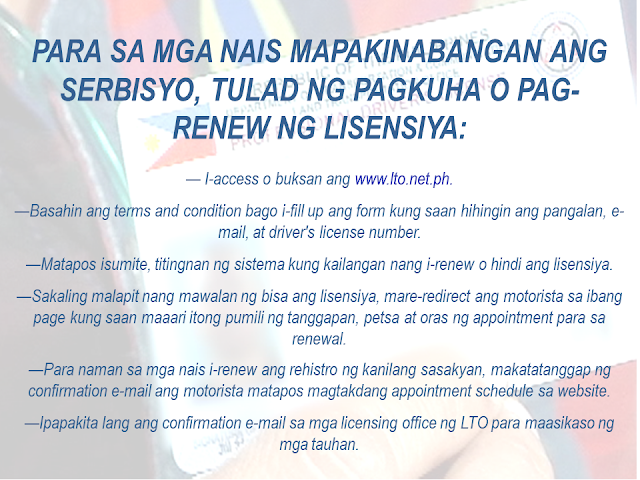 Do You Know That You Can Do Online Appointment For Your LTO License And Registration Online? Life has been made easier by the rise of modern technology. It saves resources and time, making every second productive. 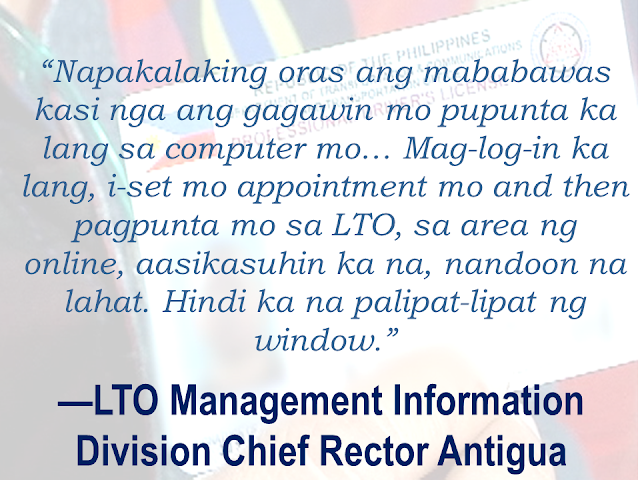 The Internet has been a great help o the life of overseas Filipino workers (OFW) as well as local workers as the Philippines started to automate government transactions. Recently, the Land Transportation Office (LTO) started online appointment services for the renewal of drivers license and vehicle registration which eliminate the hassle of piling up on their branches in long queues. Land Transportation Office (LTO) launched Abril 24, its online system where motorists can set appointments for applying or renewing their driving license and vehicle registration. 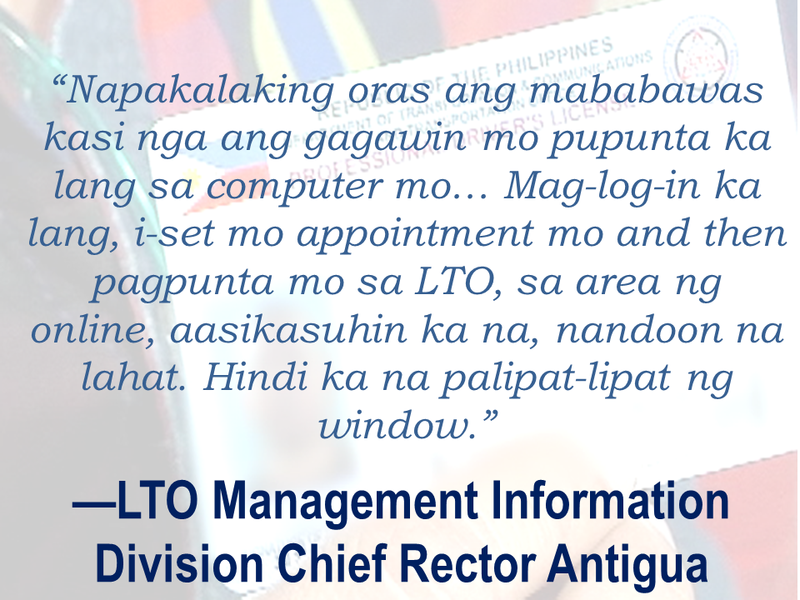 According to LTO Management Information Division chief Rector Antigua, the online appointment at scheduling system will hasten the process of the needed documents of the motorists from the agency. However, on its initial launch, it will be available only in four districts namely Marikina, Pasig, Muntinlupa, and Novaliches. The service will be available nationwide by next year.